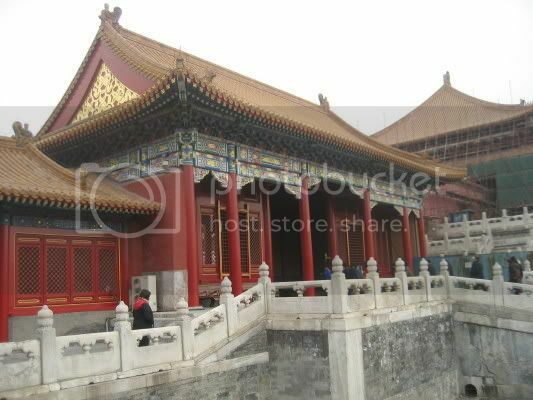 Our second attempt to go to the Forbidden City was a success, but our attempt to go to the Mao masoleum failed. 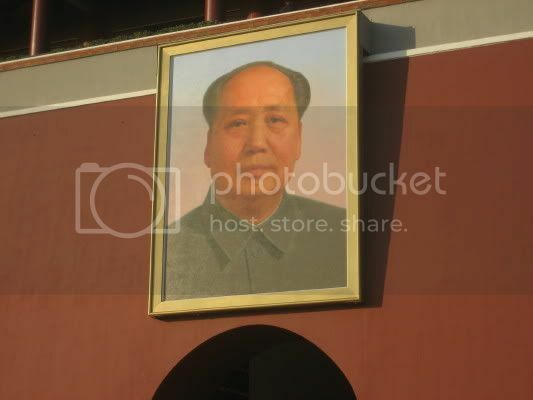 There were about 500 Chinese people lined up to go in and pay their respects to the former leader of China and it was also freezing, so much to my dad's chagrin we gave it a miss. 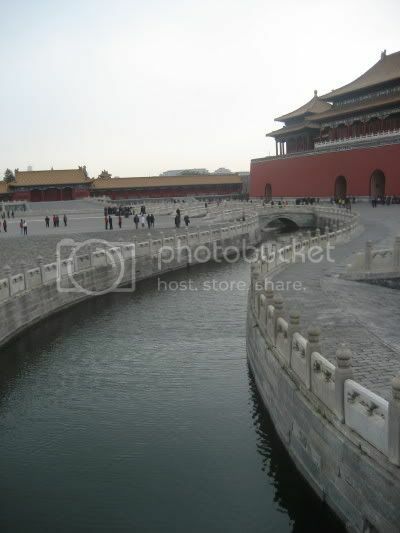 The Forbidden City is one of my favorite sight seeing spots in China. I believe it was one of my Dad's also. Here are some of our photos of our day. 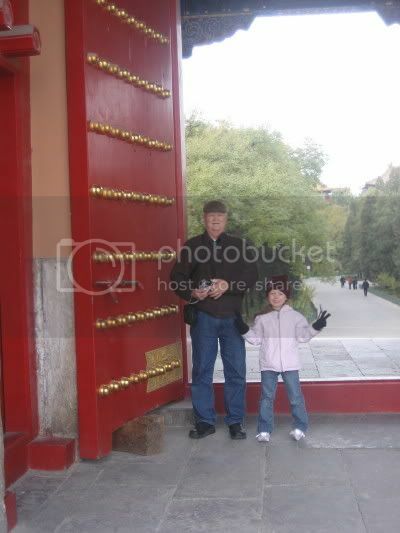 Dad and Gemma with the gorgeous red doors. 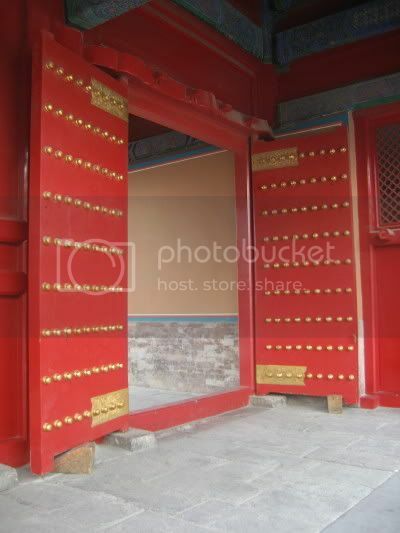 One of my favorite pictures of red doors. 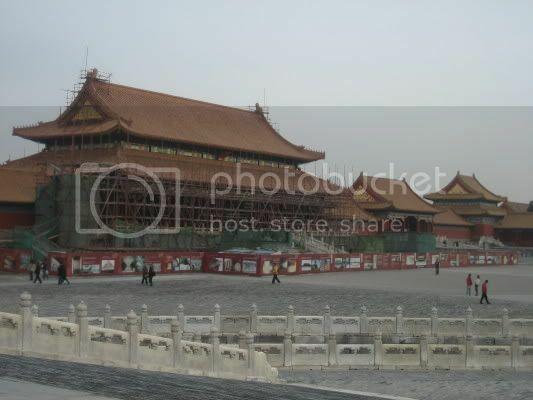 Here are some pictures of the renovation done to the Forbidden City in preparation for the Beijing Olympics. 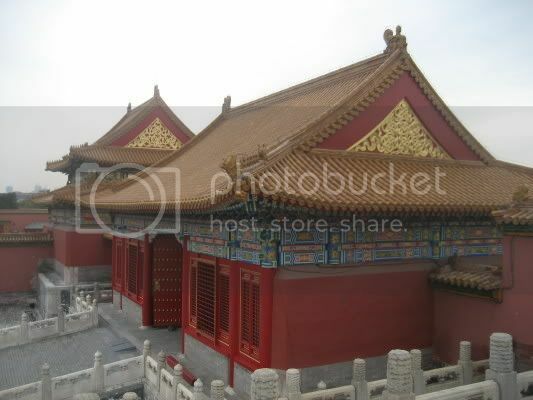 Here we are in the Forbidden City! Don't we look cold! 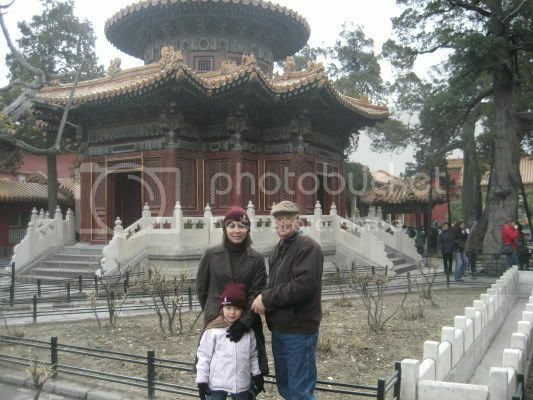 Gemma and I are sporting our new Beijing Olympic hats we bought from the street vender for 15 rmb for two ($2)! 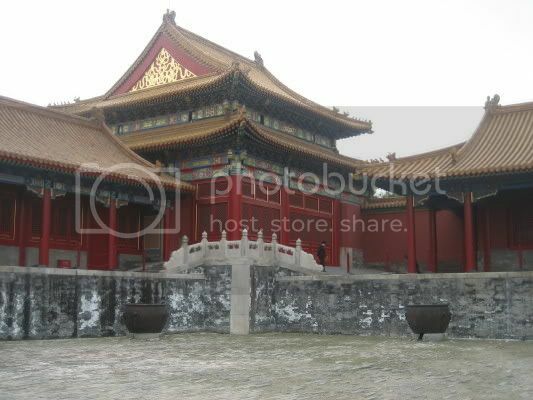 While we were going to the Forbidden City I called our friend Owen and we had the pleasure of him and Xavier joining us for lunch. 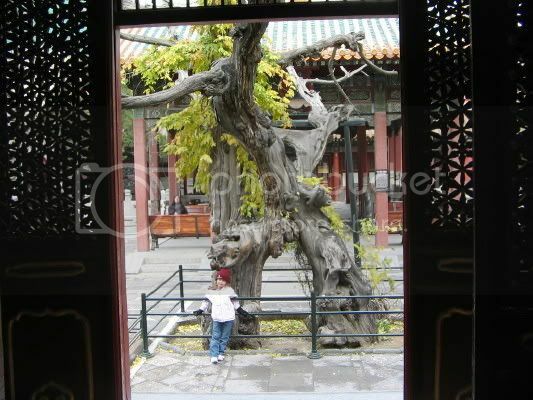 We went to one of the most famous Beijing Duck restaurants in Beijing called Li Qun's Kao Ya. 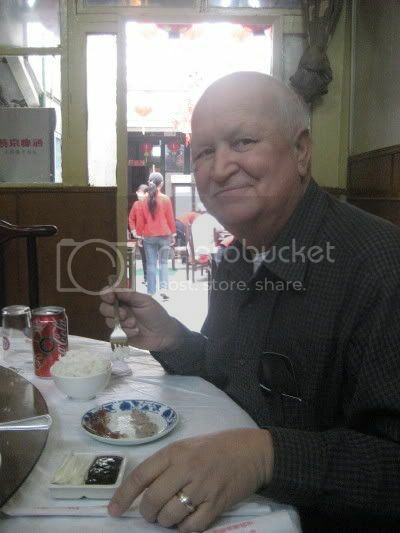 Here is my Dad giving the Beijing Duck a try. Beijing Duck consists of sliced roast duck which you put on a thin pancake with cucumbers, some type of onion that is similar to a green onion, and house sauce. It is absolutely delicious!!! Here is all of the food we ordered. We had a set menu with lots of different dishes. 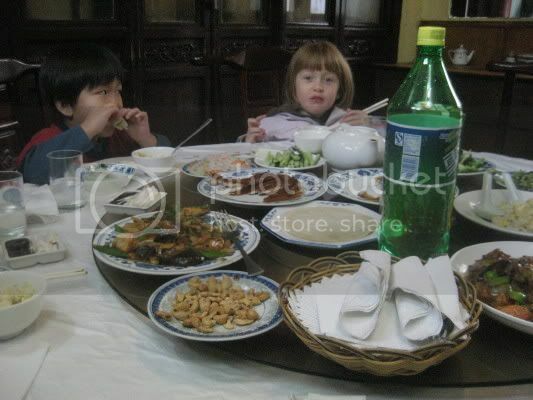 After our lunch Owen and Xavier took us to the airport to go back to Chengdu. 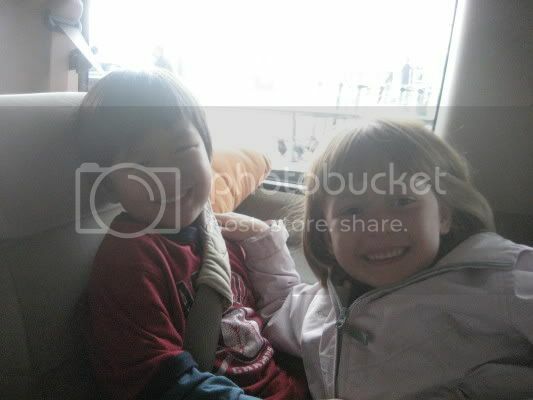 Here is a picture of Gemma and Xavier before we went back to the 'Du. 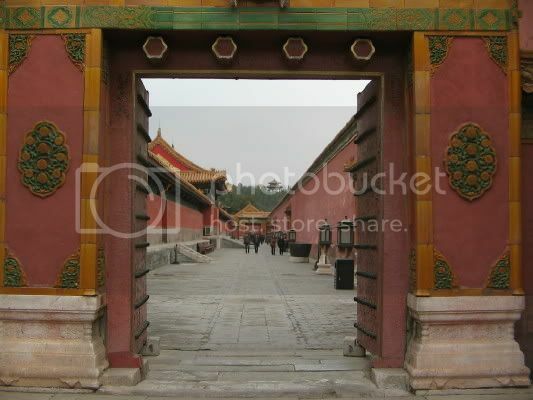 Temple of Heaven and more shopping!